Essay written by Kevin Michael Boyle. The best way to discover how to utilize certain camera angles and movements is to go back to the source of their creation. Sure, you can use practically any good modern movie to become familiar with these techniques, but going back in time to the era where these tricks were created and perfected not only gives us a better understanding of film language, it’s also a reason to introduce yourself to a classic film that you might not normally come across otherwise. The film in question here is acclaimed French director Jean Renoir’s 1939 comedy, The Rules of the Game. The Rules of the Game is considered to be Renoir’s masterpiece (though some would argue the case for La Grande Illusion). It mixes both drama and comedy in service of the director’s satirical story about France’s social classes. The rules of the game in question are the rules for each class: if you stray beyond the rules, you are at all kinds of risk. All the characters are related and bound by these rules. The same story happens to both classes – masters and servants – at the same time in the same house. For example: Robert is mirrored by Schumacher. Christine is mirrored by Lisette. Both have relationships with Octave, who is sort of the glue between both worlds. And finally, both women are chased by men. Christine by Andre, and Lisette by Marceau. Both Marceau and Andre are outsiders. One plays by the rules and survives. The other disregards the rules and pays the price. But the exact nature of this price is up to the viewer to deduce for themselves. 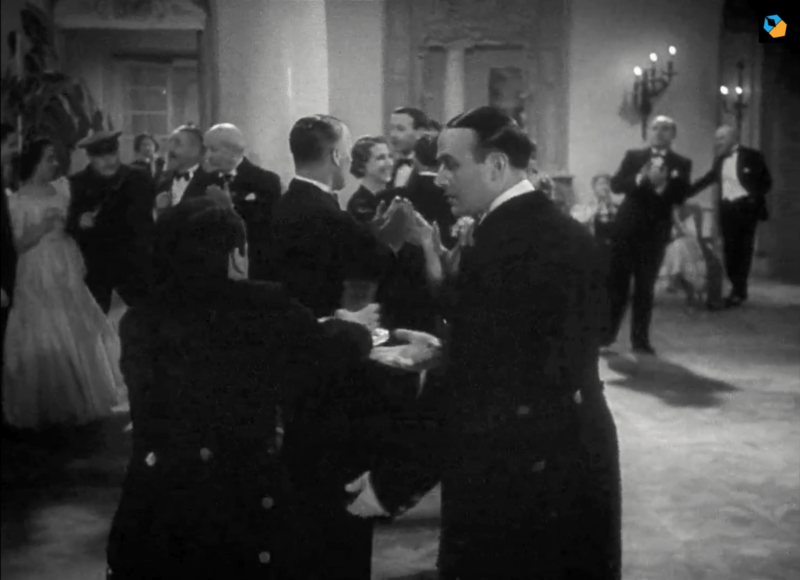 While The Rules of the Game is seen as a classic film today, it was a financial disaster at the time of its release, as it was also the most expensive movie ever made up until that point in time. Renoir masterfully ties all that is happening together with multiple layers of dialogue and action. The Rules of the Game is one of the first movies to use deep focus cinematography extensively, even before Citizen Kane. 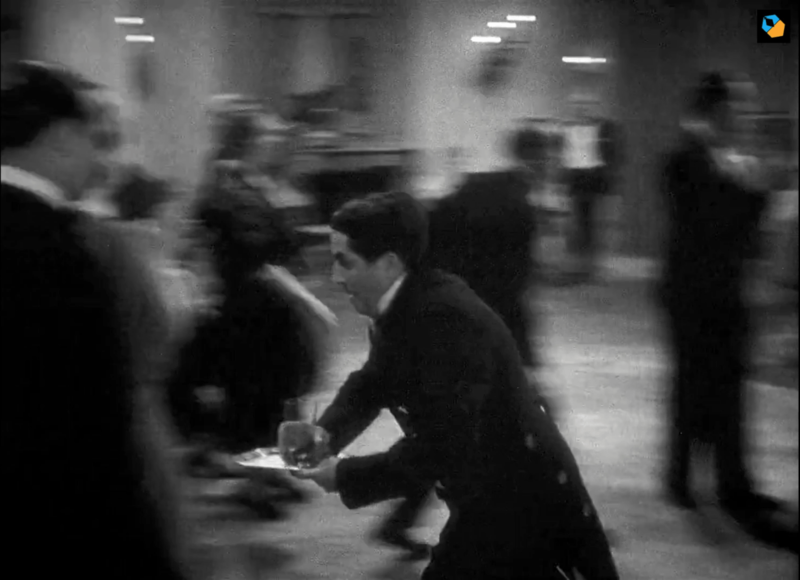 The film’s most common motif is many characters moving in and out of rooms, often in single shots. Through blocking and camera work that is breathtaking in its formal control, the director communicates to the audience the character’s motivations and where they stand in terms of the story through their literal standing in-frame. It is so seamlessly edited you don’t even notice the cuts – and, when you consider the fact that this movie was made in 1939 long before the establishment of the editing tricks that are industries standards today, is all the more impressive. 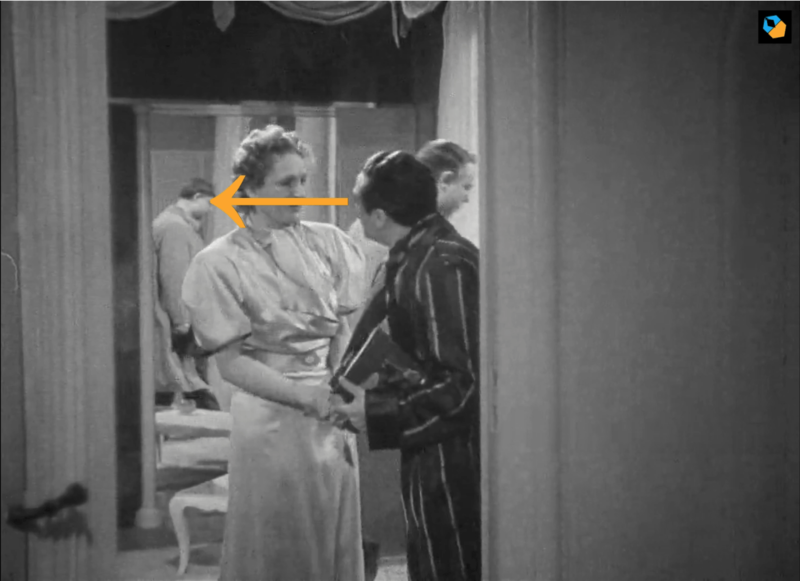 Director Jean Renoir decided to use deep focus to make sure we could catch as much of the action as possible. Deep focus is a cinematic technique that uses wide angles lenses and small lens apertures to achieve sharp focus within the image in the foreground and the background. However, the use of deep focus in The Rules of the Game is different in a fundamental way from the more recognizable work Orson Welles pulled off in Citizen Kane, which introduced the technique to American filmmaking. Jean Renoir only uses deep focus when he needs to and uses shallow depth of field when that is more appropriate. The climactic scene in the greenhouse is a brilliant example of avoiding deep focus, for reasons you’ll easily grasp when you watch the movie, tying into the thematic exposition within the scene. Needless to say, the focus-pulling is brilliant and seamless as well. The bottom line is that there are very few films in the history of cinema that hold better examples of camera blocking and movement. In this article I want to give you a taste of the master’s techniques – three of them, in fact, through which he was able to tell a complicated story in such a fluid and dynamic way. Here, Octave, played by the director himself, enters and is greeted by Lisette, the maid. They are in the mid-ground. A servant is in the background, and he steps forward to take the middle ground. Notice the reflection of the butler in the mirror. This movie is full of mirror reflections that further increase depth. Nothing is by accident. The door opens leading to the butler moving into the shot, and the husband, Robert, emerging from the door. He takes the background spot. At this exact instance, Octave and Lisette move to the foreground. The servant follows, the husband moves to take the mid-ground, and the butler brings up the rear. Blocking isn’t just about where each performer stands within the frame. The actors are only one of the many elements at play when setting up a scene like this. As well as the position of each actor, and the mark that they should hit, there is also the lighting of the scene to consider. Lighting is one of the most important parts of filmmaking, with multitudes potentially communicated through the use of light and shadow. 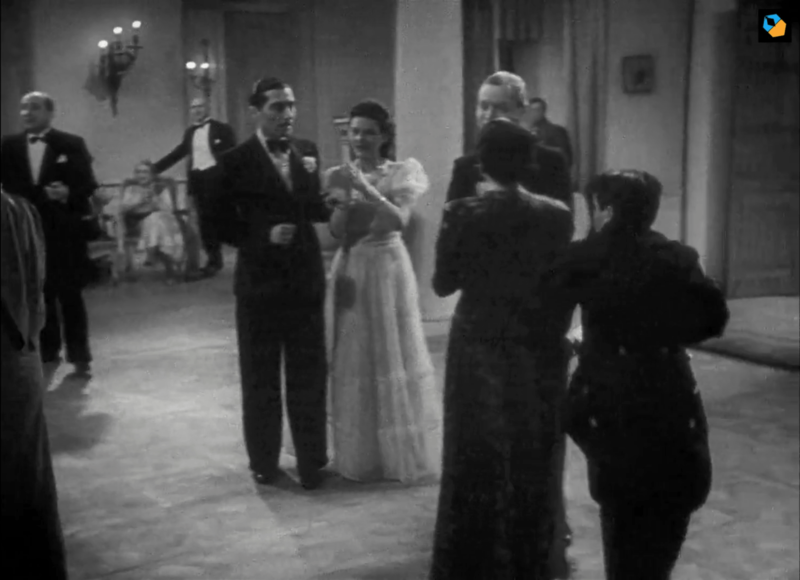 The lighting of a scene is put together by the director, Renoir in this case, and his director of photography Jean Bachelet, and offers further comment on the societal place of the characters presented in each sequence, with various uses of shadow and light to darken the presence of various characters where they fade into social obscurity. 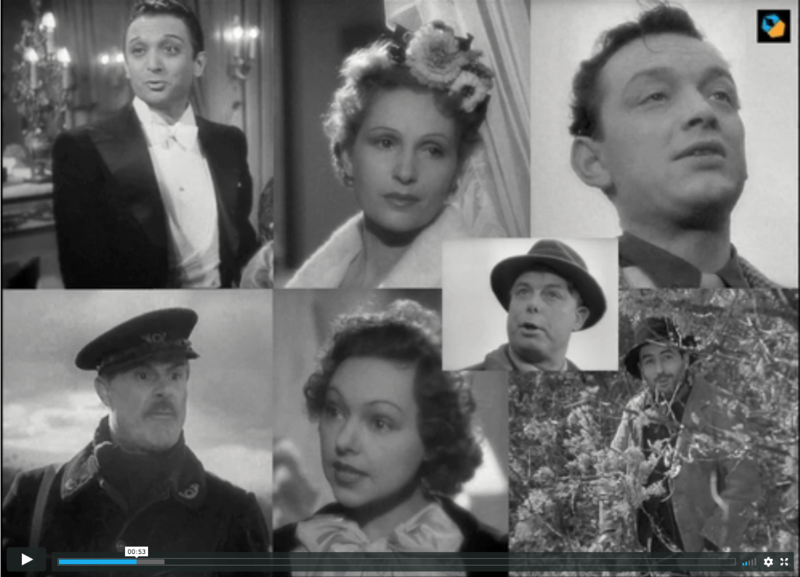 So, we have seen how an iconic director like Renoir puts these scenes together: now let’s find out how you can too. In order to make this process as easy and quick as possible, it’s useful to plan each scene of your movie out beforehand. This happens in the pre-production stage where you can use the script to plan out the visuals. The best way to go about this is by creating storyboards and compiling a shot list. Both of these visual aids will help your visuals each scene, where the actors are supposed to be, and the different shots and angles needed for each composition. Take as much time as you need to plan it all out. As there are so many characters, and components in the Rules of the Game scene, it’s obvious that Renoir planned each scene, each angle, and each movement meticulously. Your scenes don’t have to have as much movement and controlled chaos as Renoir’s, it’s your choice. A static shot with each actor hitting one mark without any movement, like an office scene, can be just as useful. Another reason why having a detailed plan for your own production is that it’s easier to work around delays, actor schedules, and weather changes when you have a detailed to-do list of what needs to be worked through at any given time. Lastly, always get the shot you need first. Once that’s in the bag you can experiment if you want to and move on quickly if you have to. Let’s continue exploring the L-movement, with the same scene as before. 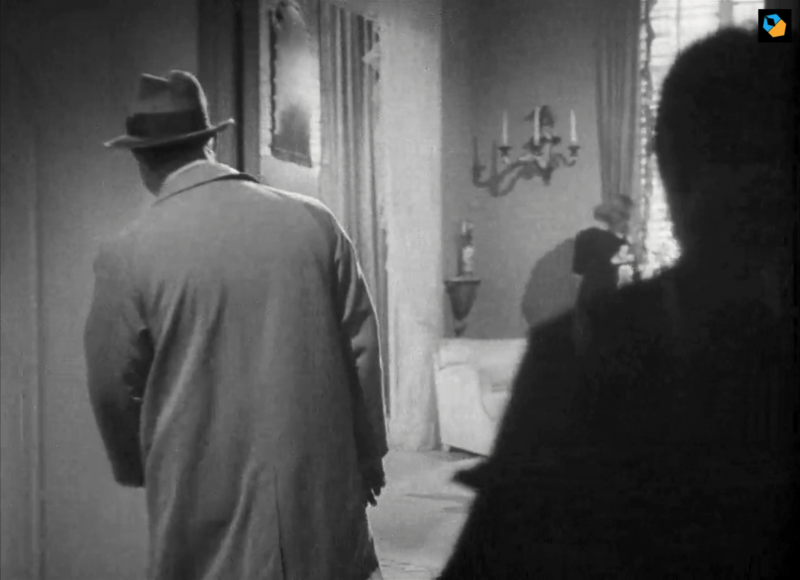 We cut to see the two actors in the foreground, and you can see Lisette in the background by the window. Did anybody miss that look of his? I don’t think so. The characters look at Octave. Like a cue, the camera pans right again to reveal Lisette. Then it moves in closer. 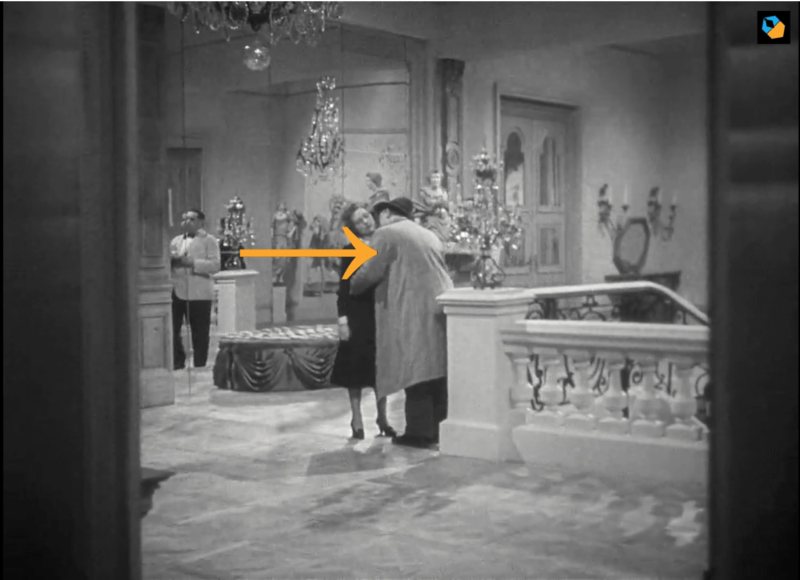 Jean Renoir uses the L-movement so he can get maximum action in the same shot. The characters can walk through doors, appear in hallways, linger in mirrors, hide or reveal themselves. The entire movie is filled with such delightful blocking. Through the L-movement technique, Renoir expertly carries the viewer through the action. The L-movement isn’t just about the direction of the camera. As we can see, Renoir likes to move the actors either towards, away, or to the side of the frame. This provides the film with a few narrative functions, specifically the changing importance of each character as they enter or leave the frame, while shots in which character’s come face to face with a mirror, which occurs throughout The Rules of the Game, are used to represent the theme of societal mirroring of the main characters. So, what are the advantages of this technique to aspiring filmmakers? In essence, the camera is moving either towards or away from something. It could be anything, but by using the L-movement, Renoir is able to tap into the visuals at his disposal to enhance the story that is playing out through the dialogue. The L-movement is normally used to give the viewer a dynamic view of the space that the scene is set and that the characters are inhabiting. Renoir constantly keeps his camera moving giving the scene a sense of urgency as he does it. There are many ways that you can recreate this camera movement, even if you don’t have access to the equipment. The L-movement calls for a smooth movement of the camera, either through a tracking shot or a panning shot. Every college and university should have a tripod for the pans, and a track for the tracking, but if you don’t have access to this equipment there are creative short cuts that can be used. For a more DIY approach you can use trolleys, wheeled chairs, and camera rigs on your body to allow for more dynamic camera movement. Another important tip is to plan the movement before the day of shooting. As well as storyboards and shot lists, this will involve location scouting. Make sure you have the space to maneuver the camera for the L-movement. You can also take a leaf out of Stanley Kubrick’s book and take 360-degree photos of the location you want to shoot in, that way you have a model of the space and its strengths while also planning around its weaknesses. More than half the shots we have looked at in The Rules of the Game have camera movement in them. This was hard in 1939, and it is still hard in 2018. It takes a lot of time to block and rehearse these moves. What made this so difficult in Renoir’s day was that his equipment was so big and bulky. It was the same for Hollywood directors until the mid-60s, when lightweight cameras where introduced. Before this the movement of the camera was extremely limited. The consequence of this was that filming on location was expensive and impractical, meaning that most films, both in Europe and in America, where filmed in a studio. Yet Renoir was a maverick and filmed the movie entirely on location at the Chateau de la Ferté-Saint-Aubin, chosen because Renoir’s father had yearned to paint it. Renoir also improvised dialogue and scenes on the day of the shoot. So, it was a lot harder. 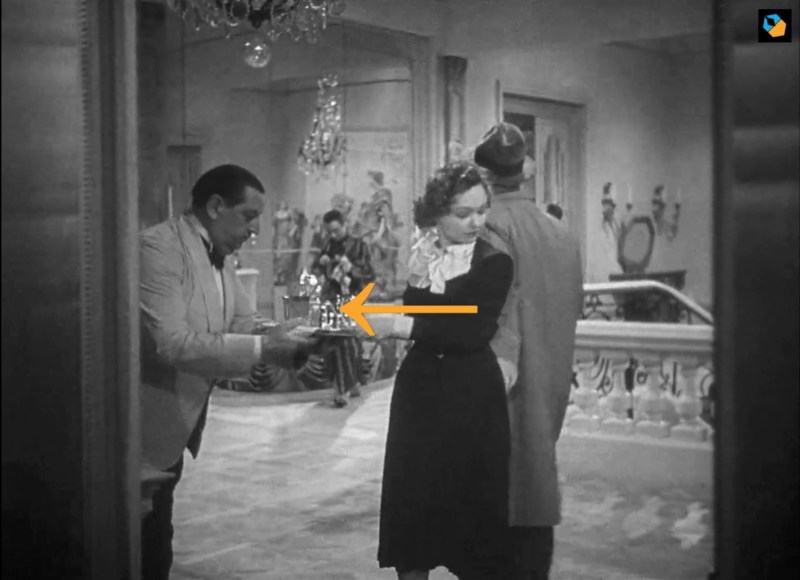 This is yet another reason why The Rules of the Game is still so impressive; even more so than Citizen Kane which popularized these techniques years after Renoir perfected them. I hope when you watch the movie you will remember to make the connection with the earlier hunt. If I were to describe the movement in one word, I’d say it represents how we would look, if we were an observer in the scene. The camera is mostly at eye level, from an observer’s height. When someone runs left, we turn left, when they move right, we pan right. When they go down the room, we pause. Sometimes the camera makes these imperceptible moves on a dolly to reveal more space. Exactly how we would behave if we were spying down a corridor and trying to get the best viewpoint. If you study this sequence you’ll see all three techniques used – characters moving left and right, running, hiding, moving through social structures. This is the scene where the two classes intertwine, and they both get each other. Nobody’s happy, but they understand the game is being played according to the rules. What is fascinating to me is Renoir’s use of camera movement to bring excitement into an interior situation. While it’s viewed as a stone cold classic now, The Rules of the Game was seen as a huge misstep from a beloved director that ended a hot streak that included The Human Beast, La Marseillaise, and the award-winning La Grande Illusion. Like many great artists, Renoir’s film was ahead of its time, a satirical critique of his home country at a time where no one wanted to believe that how he viewed the world was true. Schumacher’s hunt is so technically brilliant because of all of the different components and factors within the shot. Renoir needs every actor rehearsed and in sync with each other in order for him to build Schumacher’s narrative. By following the character as he purses and is then pursued, we come to realize Renoir’s thesis as each character from different classes collide. The whole movie is breath-taking in this respect. There’s always interactions and information flowing, things you want to know about the characters that come to light – you just can’t take your eyes off camera. Where Citizen Kane is rigid in its composition and structure, Rules of the Game is fluid and with more open compositions. You almost think you’re watching a documentary, but you would be mistaken if you didn’t recognize the brilliance of Jean Renoir. The legacy of The Rules of the Game cannot be overstated. On a technical level it helped popularize each of the techniques we have went over, while also being the first film to use lenses to create depth of field within each shot. Thanks to this discovery there was no longer any limit to where a character could go within the frame, something The Rules of the Game took advantage of to show that the story of the film occurs just as much in the background as the foreground. So, the next time you want to learn the ins and out of making a film, shooting a scene, and creating a visually stimulating story, look to the past: the masters like Renoir and Orson Welles (who called Renoir the greatest of all directors), and track the evolution of these techniques through the works of Spielberg, Mike Leigh, and Robert Altman.